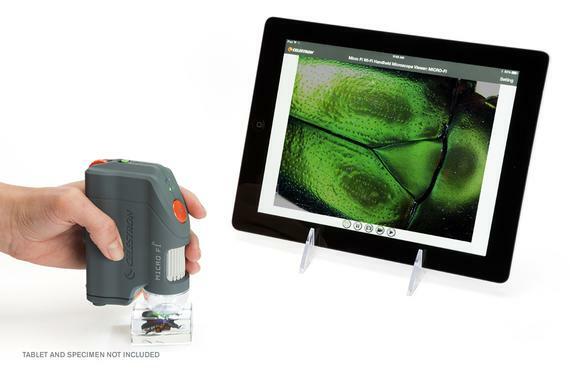 ​​​​​​​Micro Fi is a Wi-Fi enabled handheld digital microscope that works with your smart devices to stream live video and record movies and still images. Download the free Micro Fi app from the Apple App Store or Google Play and view the microscopic world right on your smartphone or tablet! 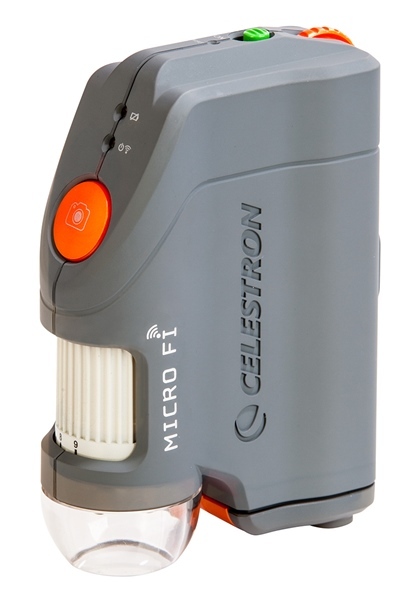 You can control Micro Fi with only one hand thanks to its ergonomic design. Taking an image is as simple as tapping the touchscreen of your device or pressing Micro Fi’s trigger. Batteries 3 AA (user supplied). 2.5 hours continuous use with Ni-MH 2500mA batteries (recommended). 2 hours continuous use with Alkaline batteries.